Ah, ‘Hard Times’! What a show that was. 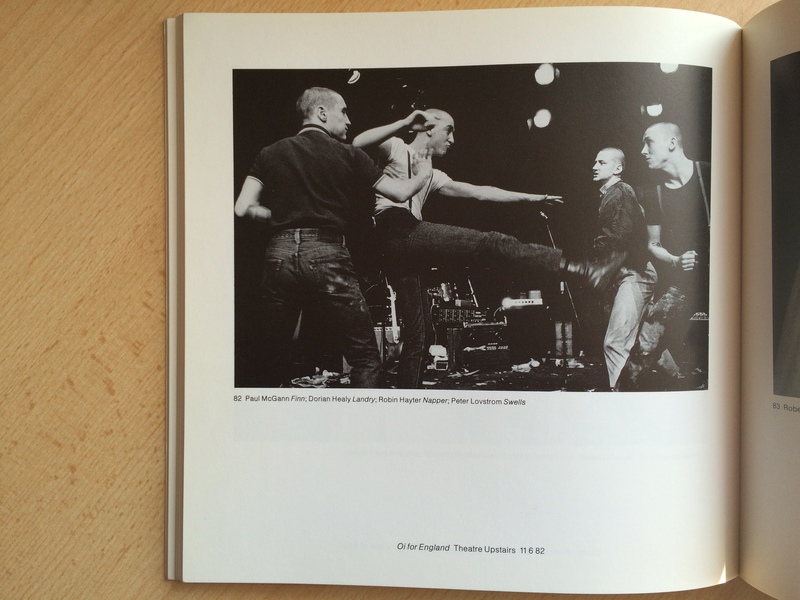 Watermill Theatre, year 2000, Guy Retallack directing, wonderful cast. If only I could go back and do it again. But that’s one of the tragedies of a stage actor’s life. Theatre is a transient, fleeting thing. No matter how wonderful your performance might have been, no matter how successful the production, as soon as the curtain falls on the last night, it is nothing but a memory. There is no way to recapture the feelings you had, or the magic spell the show cast over its audience. John Gielgud used to bemoan the fact that he couldn’t revisit his old performances, or, as he put it, (to be read in the great man’s voice) ‘Awake in the night and admire it as it sat on the mantelpiece’. These days, of course, many theatre performances are professionally filmed, and these screenings are a great way for people to see shows they might otherwise miss. But they never really capture the thrill of being in the same room as the actors – that intangible frisson that happens when the lights go down. Theatre is a true shared experience – the audience has as much influence on how the show goes as the director does; it is implicated. There is no real way of bottling this particular genie, but I think some of the magic of a stage performance is best presented in a still image. It’s a far more subtle way of spying on a show, sneaking a peek at the actors at work. 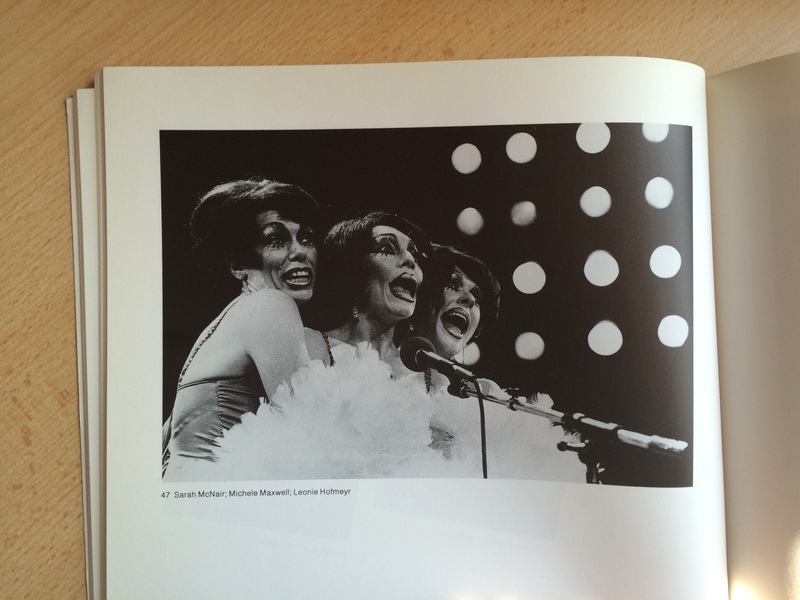 A great theatre photograph can convey so much about a production. And there is a noble and fascinating history to the art. 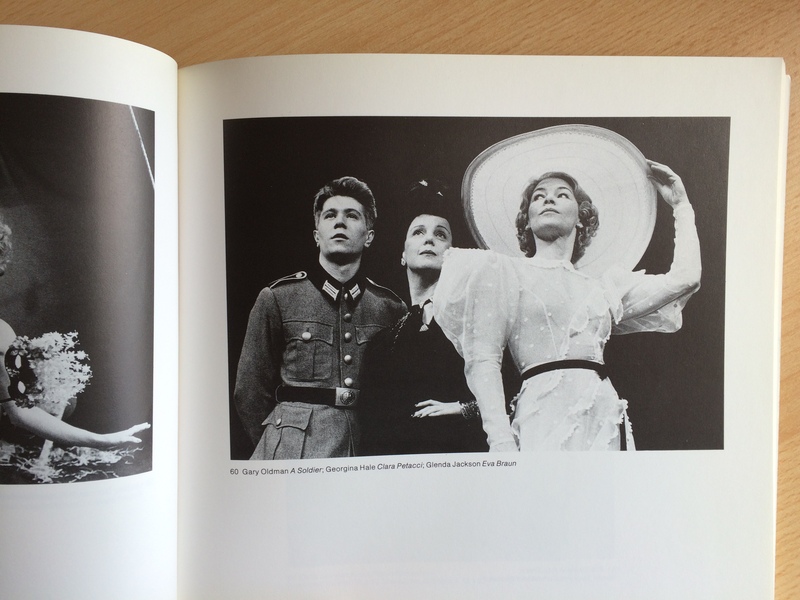 Lord Snowdon’s wonderful theatre images, for example, are an essential addition to the shelves of anyone interested in British theatre. 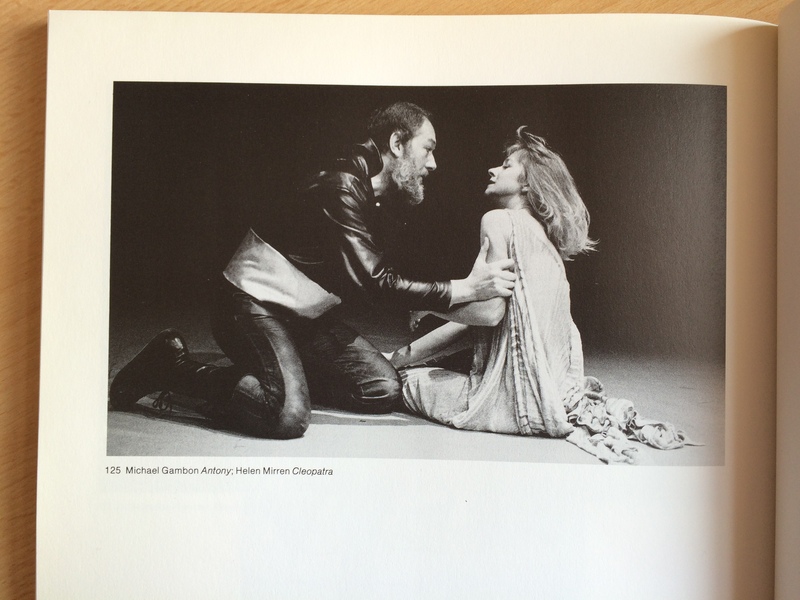 I recently stumbled across a wonderful book called ‘Theatre Year’, one of a series of books published in the late 70s and early 80s, which featured the work of a master of the art of theatre photography, Donald Cooper. 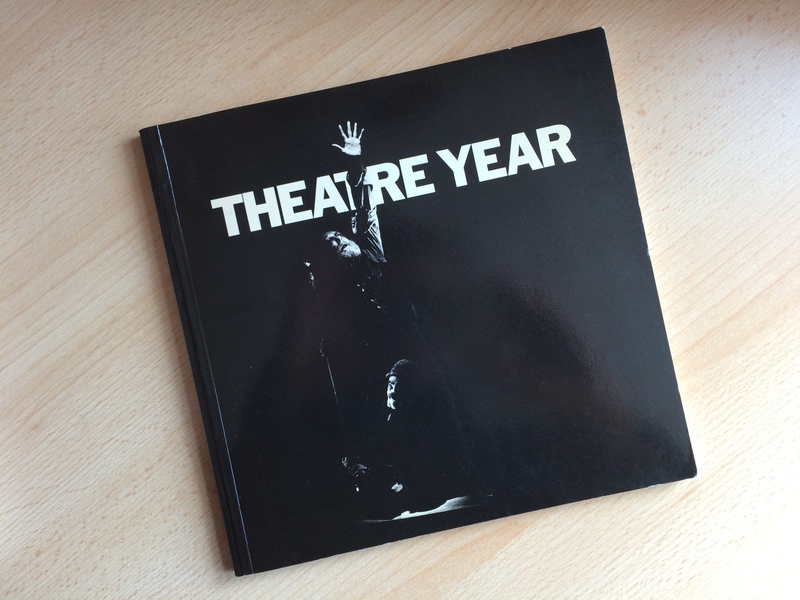 Along with fascinating overviews of the year’s work by the supremely knowledgeable critic Michael Coveney, they documented the notable productions of a particular year, in this case, 1981-82, and are hugely evocative of their time. 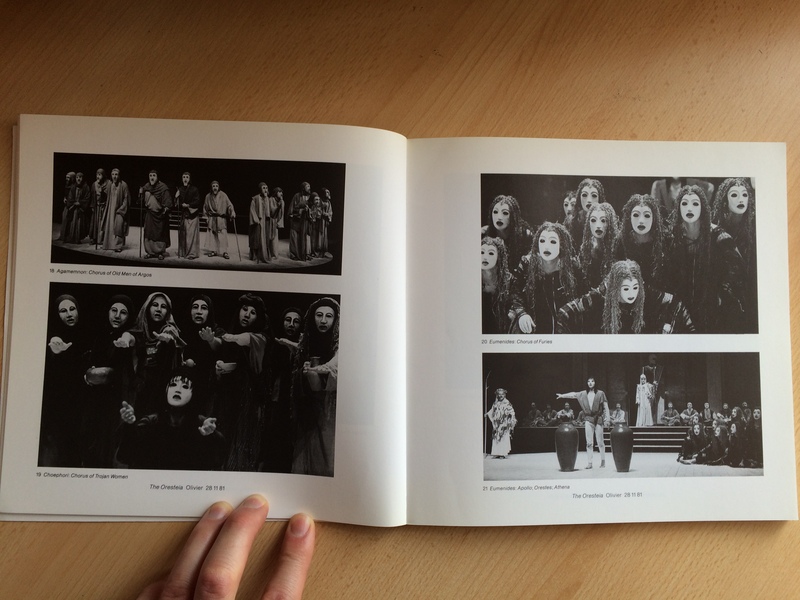 There are some wonderful images here, which make me nostalgic for a time before I was regularly attending the theatre. 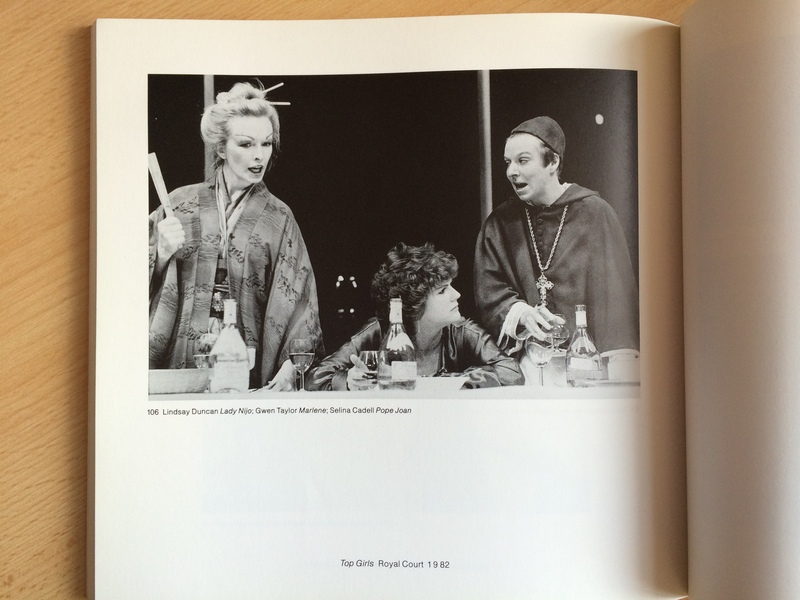 There is a slightly cautionary aspect – many of the photographs come from shows I have never even heard about, and are filled with actors whose names I don’t recognise. 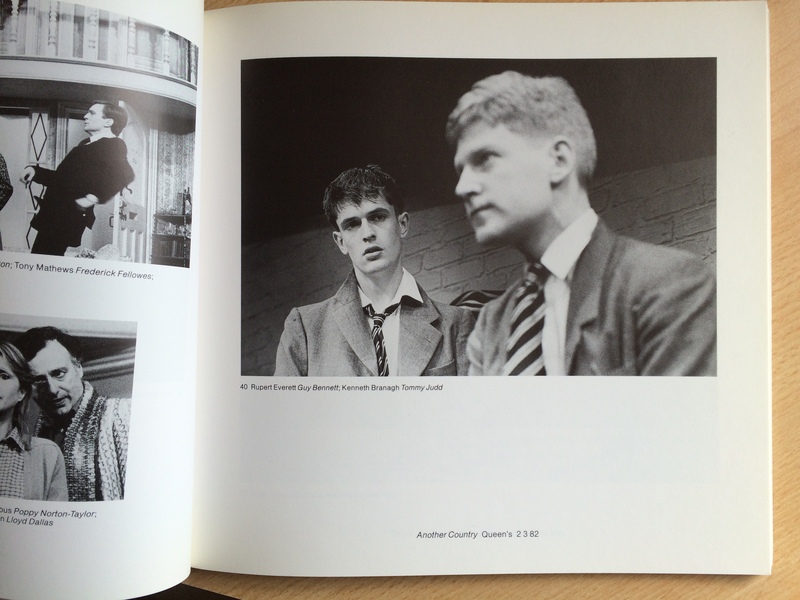 In another 30 years’ time, if my photograph appears in such a compendium, will anyone know who I was? 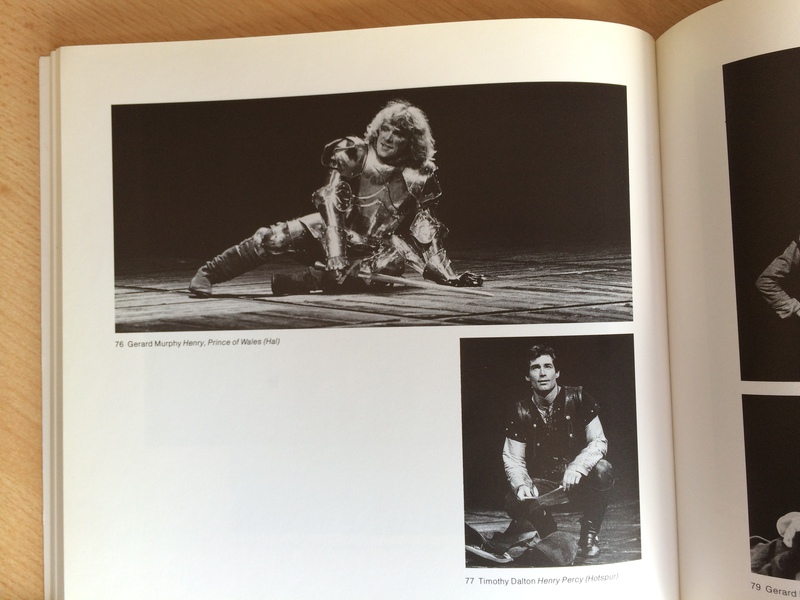 Here is a brief selection of some of the most interesting shots from ‘Theatre Year’ – all are copyright of the photographer Donald Cooper, and I include them purely for reference. A far more extensive selection of his extraordinary images can be found at www.photostage.co.uk. These wonderful books can still be found out there, and I’d encourage you to seek them out – they are surprisingly inspiring. Wouldn’t it be good if we could revive the concept? 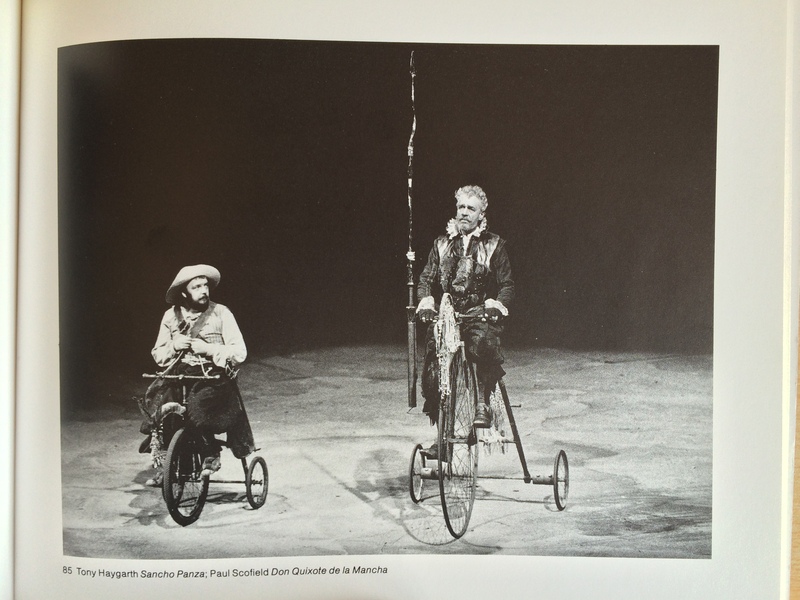 This entry was posted in Theatre History and tagged actors, adrian noble, aeschylus, alan rickman, another country, antonia bird, antony and cleopatra, barbican, bill bryden, boogie woogie bubble 'n' squeak!, boogie!, caryll churchill, don quixote de la mancha, donald cooper, dorian healy, gary oldman, georgina hale, gerard murphy, glenda jackson, guy retallack, gwen taylor, hard times, helen mirren, henry iv, james bond, joan bakewell, john gielgud, julian mitchell, kenneth branagh, leonie hofmeyr, lindsay duncan, lord snowdon, max stafford-clark, mayfair theatre, michael coveney, Michael Gambon, michele maxwell, national theatre, newsnight, oi for england, olivier theatre, oresteia, paul mcgann, paul scofield, peter hall, peter lovstrom, philip prowse, philippa waller, photography, photostage, queen's theatre, robert david macdonald, robin hayter, royal court, royal court theatre upstairs, rsc, rupert everett, sarah mcnair, selina cadell, stephen jeffreys, stuart burge, stuart hopps, summit conference, the other place, theatre year, timothy dalton, tony haygarth, top girls, trevor griffiths, trevor nunn, watermill theatre, young people's play scheme on October 5, 2015 by chrisjnayloractor.